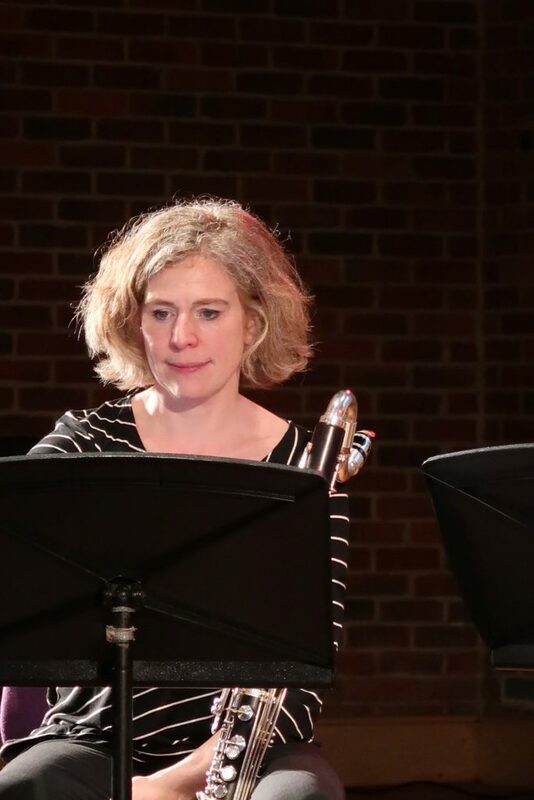 Video now online of the premiere of my Changing Up + for solo percussionist and large ensemble from the recent SHIFTS project at Turner Sims. 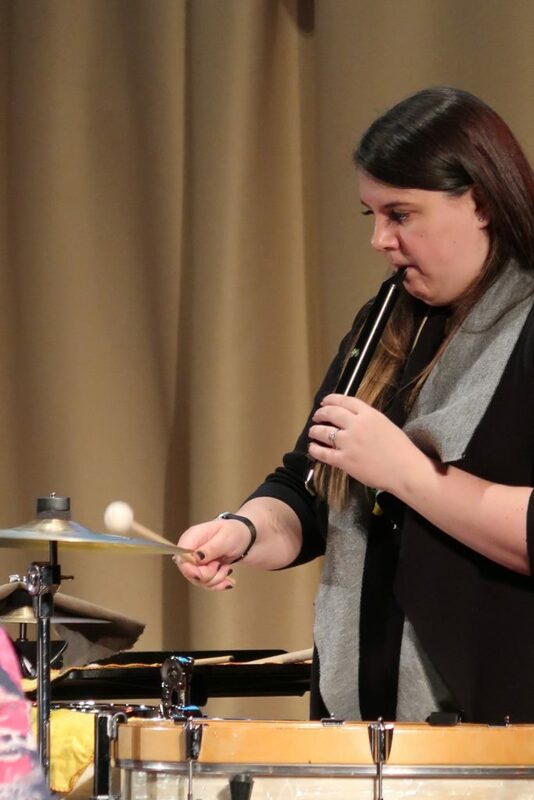 Joley Cragg totally nailed the percussion as did the HARTLEY Loop Orchestra, which features students and staff from the University of Southampton Music Department. 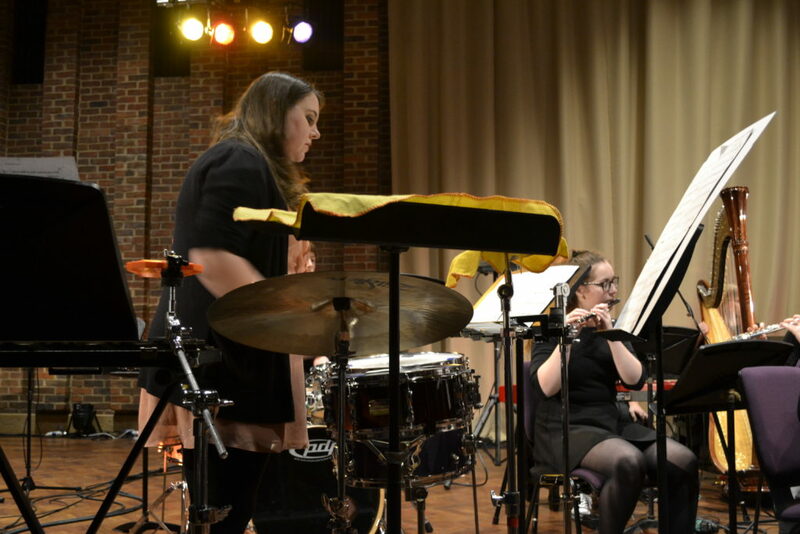 This entry was posted in Composition, Conducting, Gigs, Recordings and tagged changing up, hartley loop orchestra, joley cragg, percussion, shifts, Turner Sims, University of Southampton Music Department on April 19, 2019 by Ben. 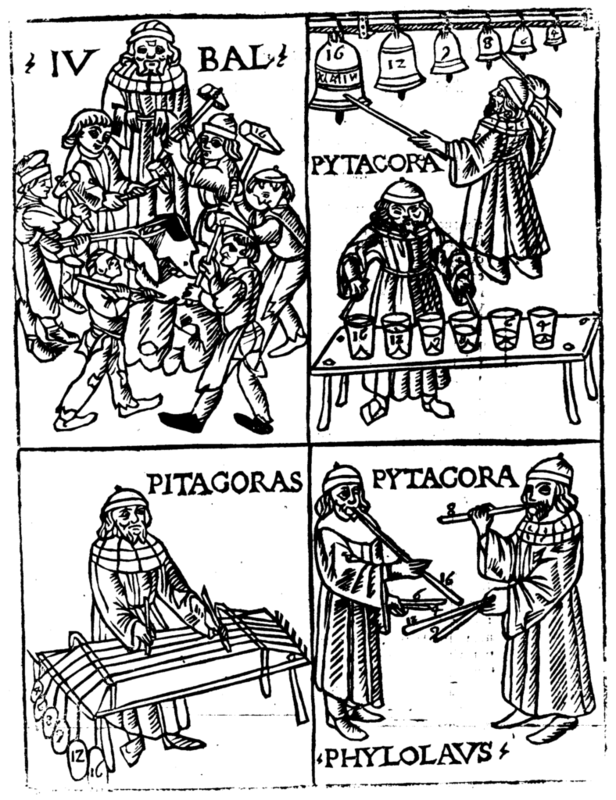 I’m really delighted that Pythagoras’ Toolkit, led by Ensemble Paramirabo (Montreal) and involving me as co-creator, composer and conductor, has been awarded funding from the Canadian Council for the Arts. In Pythagoras’ Toolkit Rachel Warr (co-creator/director, Dotted Line Theatre) and I will bring to life, through puppetry and live music, a modern-day Pythagoras who will explore sound, space (conceptual/sound/realworld), rhythm, harmony and dissonance (order and chaos), instrument making/design, dance, musical textures and ways of constructing music. 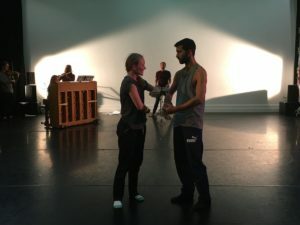 The production, currently planning for a tour in 2021, will feature musicians from Ensemble Paramirabo (Canada), Workers Union Ensemble (UK) and two musically literate puppeteers working with a specially created Pythagoras puppet. Rachel and I are concocting ideas already… more soon! 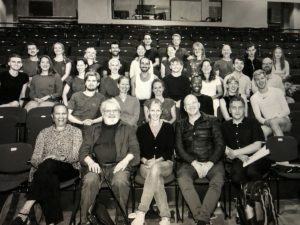 This entry was posted in Composition, Conducting, Dance, Gigs, Workers Union and tagged 2021, dotted line, ensemble paramirabo, pythagoras' toolkit, Rachel Warr, workers union ensemble on April 19, 2019 by Ben. 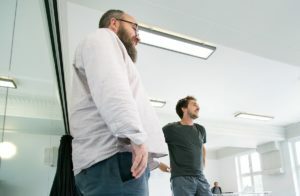 I’m conducting Mendelssohn V in a few weeks time (11 May 2019) with SU Sinfonietta. Really looking forward to doing some old music…! 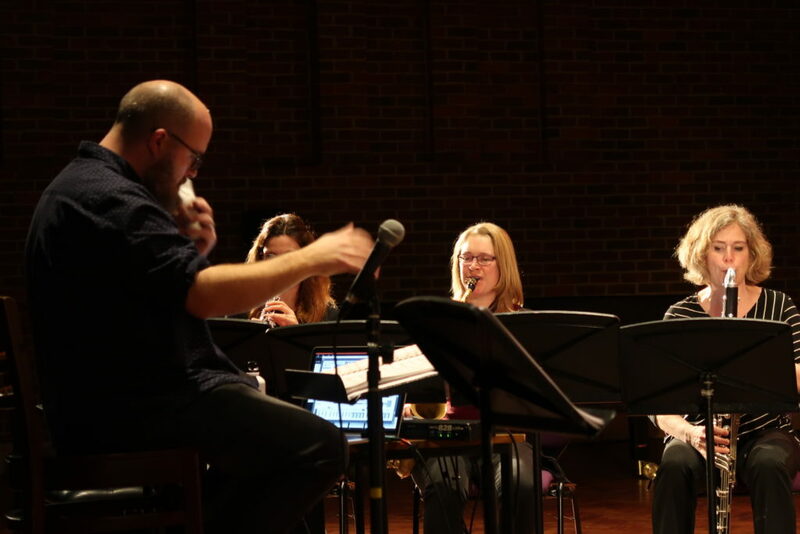 This entry was posted in Conducting, Gigs and tagged Mendelssohn, su sinfonietta on April 8, 2019 by Ben. 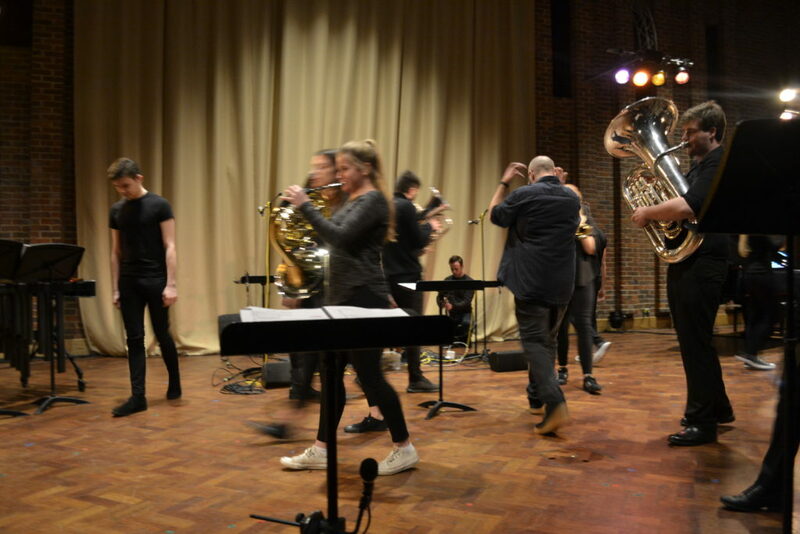 It was great to perform The Virus Within: Hearing HIV with Workers Union Ensemble and Chad Swanson at Turner Sims as part of the University of Southampton Science and Engineering Day 2019. 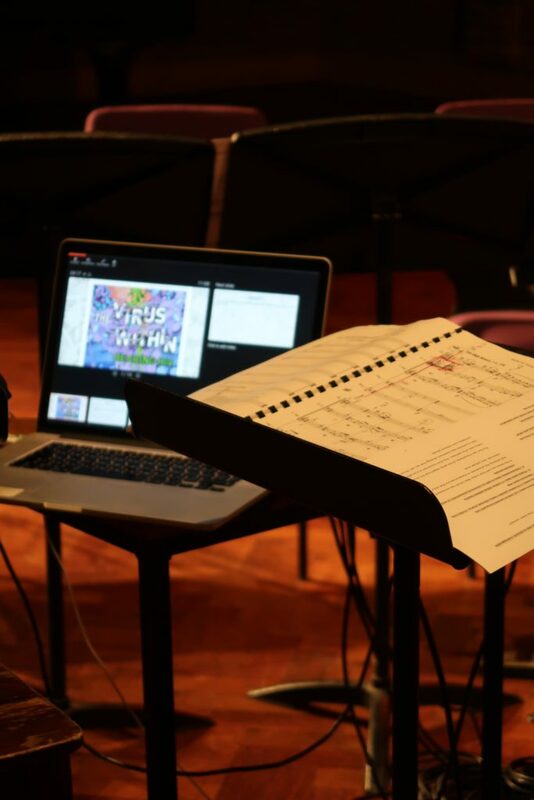 This entry was posted in Composition, Conducting, Electronics, Gigs, News, Workers Union and tagged chad Swanson, Electronics, Hearing HIV, Ninetendo WII Controller, The Virus Within: Hearing HIV, Turner Sims, University of Southampton, vicky wright, workers union ensemble on March 23, 2019 by Ben. 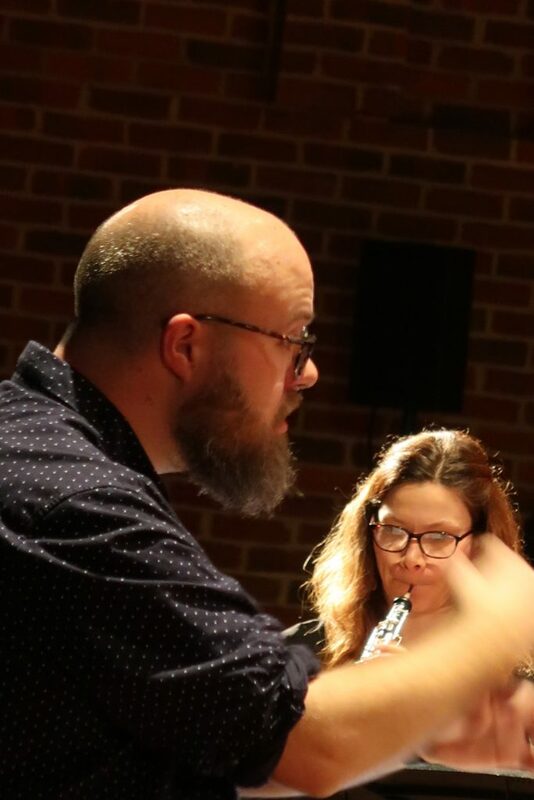 Had a fantastic time last week doing SHIFTS with students and colleagues from University of Southampton Music Department and brilliant percussionist Joley Cragg. Videos to come soon but here are a few pics, thanks to Amy Williamson. 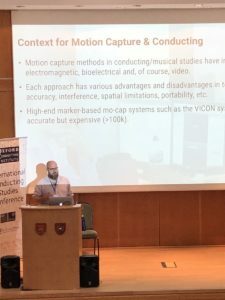 This entry was posted in Composition, Conducting, Gigs and tagged drew crawford, joley cragg, lois vierk, red shift, Turner Sims, University of Southampton Music Department on February 5, 2019 by Ben. 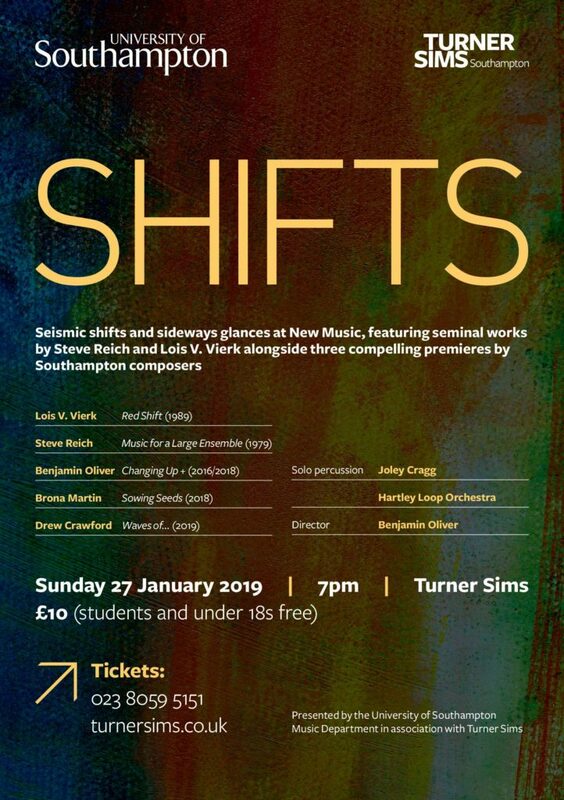 Super excited about a project I’m directing next month, SHIFTS, which will feature students from the University of Southampton Music Department performing as part of the Hartley Loop Orchestra at Turner Sims. We’ll be performing music by Steve Reich and Lois V. Vierk as well as new pieces by my super cool colleagues Drew Crawford and Brona Martin. 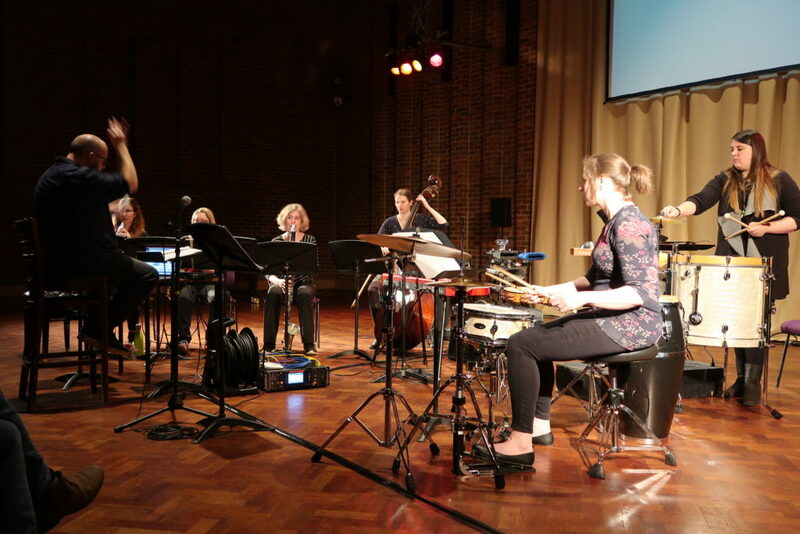 I’ve written a new version of a solo percussion piece I wrote for the London Sinfonietta a few years ago – this time featuring large ensemble and called Changing Up + (rather than Changing Up!). 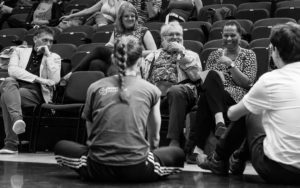 Fellow Workers Union family member Joley Cragg is coming to play the solo part. More details on the poster below! 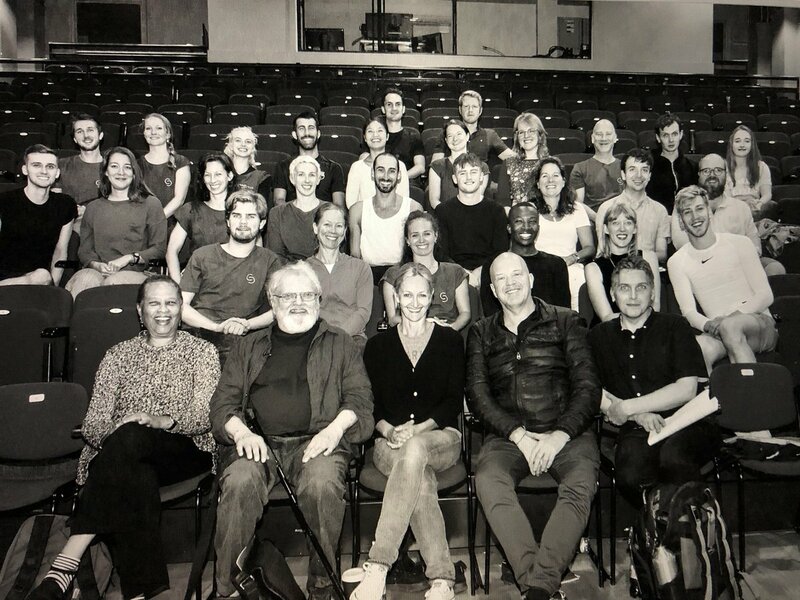 This entry was posted in Composition, Conducting, Gigs, News, Workers Union and tagged brona martin, drew crawford, joley cragg, shifts, Turner Sims on December 14, 2018 by Ben. 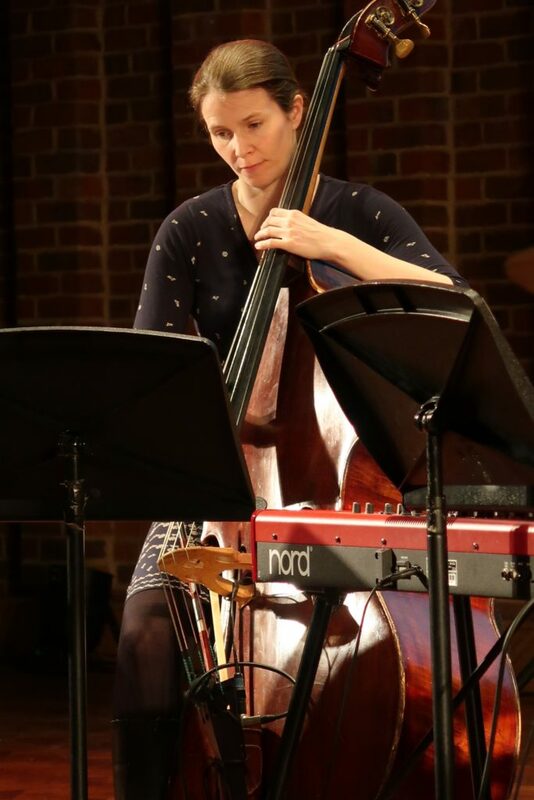 This entry was posted in Composition, Conducting, Electronics, News, Workers Union and tagged arts-science, chad Swanson, Hearing HIV, workers union ensemble on December 2, 2018 by Ben. Workers Union Ensemble on NMC! Joe Cutler’s album ‘Elsewhereness‘ is just out. 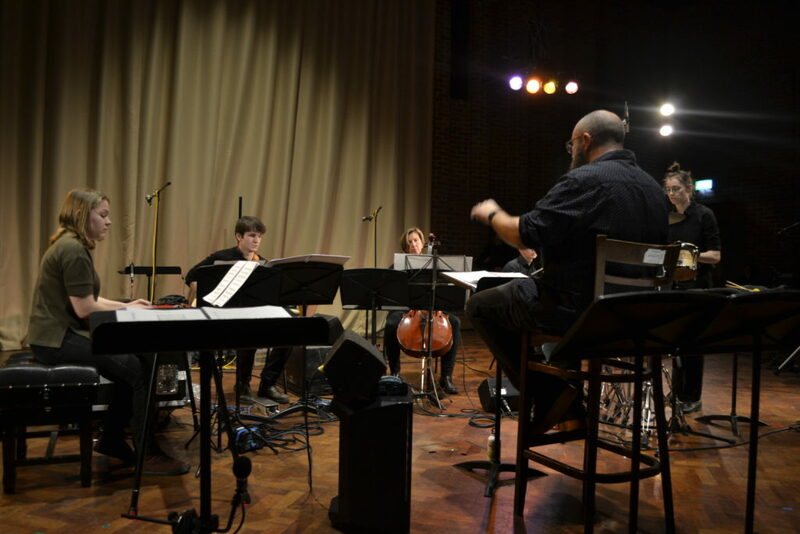 It includes Workers Union Ensemble (with me waving) recording of Joe’s For Frederic Lagnau, which we recorded in 2013. 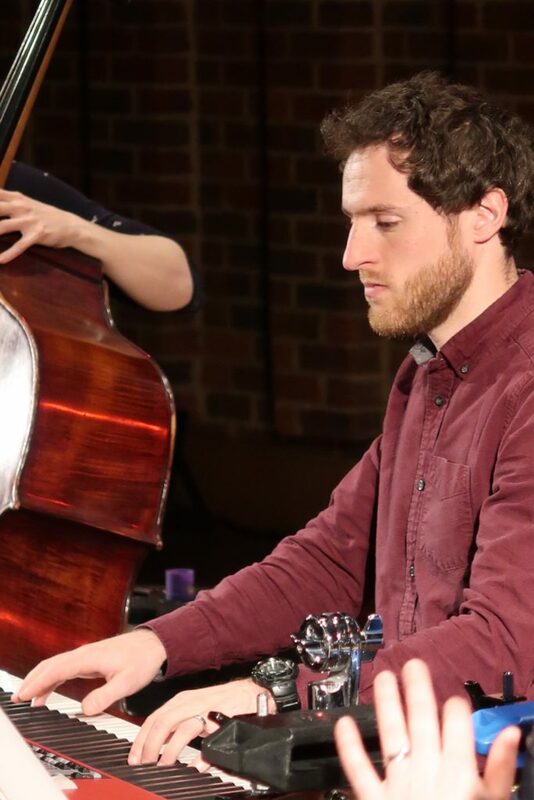 Really pleased with the recording and delighted to be on a NMC record – one ambition in life achieved! 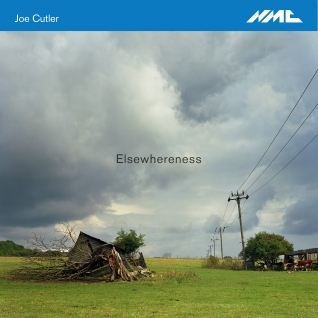 This entry was posted in Conducting, Recordings, Workers Union and tagged Joe Cutler, nmc, Workers Union on October 20, 2018 by Ben. This entry was posted in Composition, Conducting, Dance and tagged BSO, Cohan Collective, eleanor alberga, hollie harding, kenneth hesketh, robert cohan on September 3, 2018 by Ben. 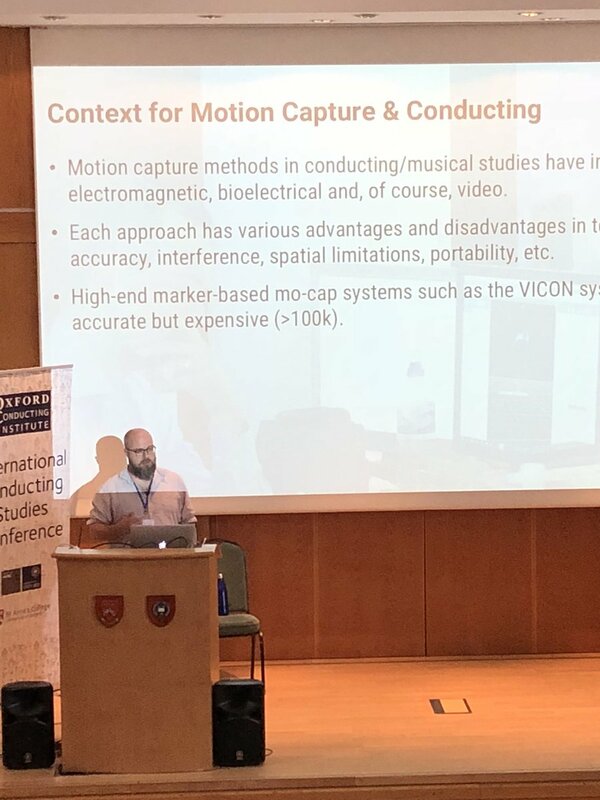 This entry was posted in Conducting, Electronics, Words and tagged capturing the contemporary conductor on June 25, 2018 by Ben.